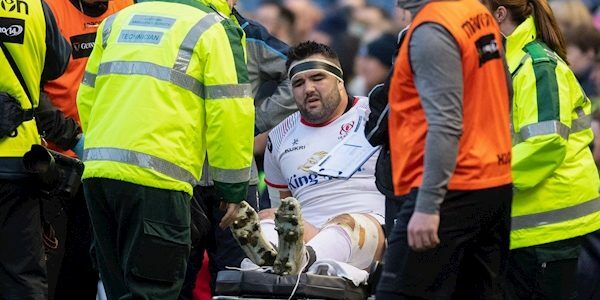 Marty Moore’s season is over, Ulster have confirmed today. The prop, who returned to Ireland after a stint with Wasps, suffered an ankle ligament injury against Edinburgh on Friday. The northern province confirmed that Moore will miss the rest of the season and will see a specialist later in the week. Moore has scored two tries in 20 appearances since his move to Belfast and will now miss their final regular season game against his old club, Leinster. The province also said winger Jacob Stockdale “sustained a hamstring injury” in the Edinburgh victory and he will be monitored on an ongoing basis. 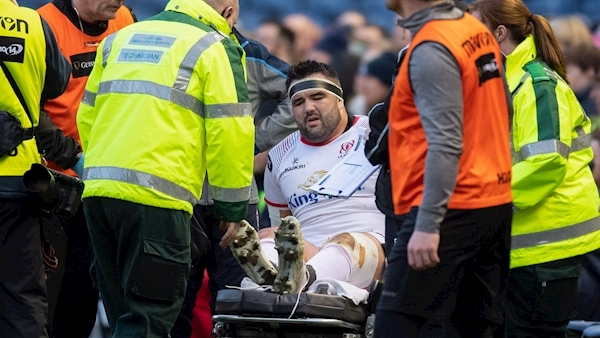 Moore’s season KO will be a blow for Ulster with the Pro14 playoffs looming and the injury list stacking up. Utility back Will Addison is also going to miss the season’s run-in, after undergoing back surgery. Rory Best has missed the last two fixtures – also with an ankle ligament injury – which he suffered in the Champions Cup defeat to Leinster. It is hoped, however, that Best will return for the Pro14 playoffs.